Who was Wilfred J Airey? 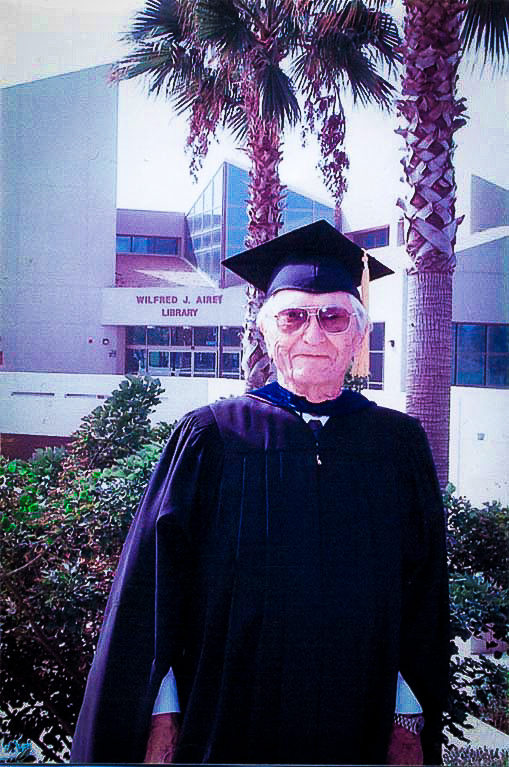 Dr. Wilfred Jonathan Airey, Sr. was an important educator and contributor to the creation of both Norco College and Riverside City College. Beginning in 1964, as an original member of the first elected Riverside Community College Board of Trustees, he served for 30 years during a critical time of construction and growth of educational programs and services. In 1983, at the instigation of Dr. Airey, the RCCD Board of Trustees toured United States Navy property located in Norco, California. A tour of the Navy Fleet Analysis Center Property in Norco was made by the Board of Trustees, including Dr. Airey. Dr. Airey had earlier recommended that the RCCD Board of Trustees examine the United States Navy property as a potential college campus location. On June 4 1985, more than 141 acres of federal United States Navy land was acquired from the General Services Administration through the United States Department of Education in order to build a future Norco community college campus. The Norco campus opened in March 1991. 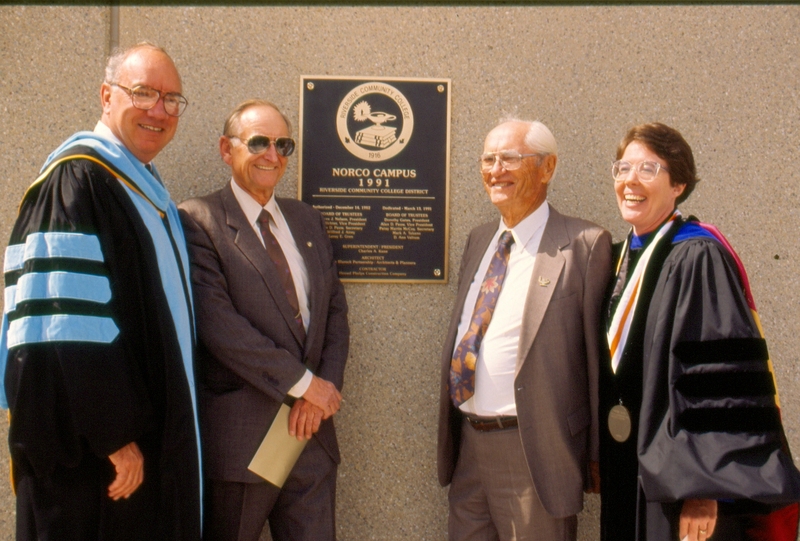 The Wilfred J. Airey Library at Norco College is named after him and was dedicated in his name on November 17, 1995 to commemorate his important support for the development of the campus. He was the son of Robert W. and Hattie M. Airey and was born January 8 1911, in Gaston, Oregon. He graduated from Laurelwood Academy in Gaston in May 1929. He attended Walla Walla College in College Place, Washington from 1929-1930 and 1932-1934; Southern California Junior College (precursor to La Sierra University) in Arlington, California from 1930-1931; and Pacific Union College in Angwin, California from 1931-1932. He graduated with a B.A. from Walla Walla College in 1933. He obtained his M.A. from the University of Washington in 1938, writing an M.A. thesis entitled "The Attitude of Christian authors Towards Pagan Literature and Learning from 50 to 430 A.D." In 1945, he obtained his Ph.D. from the University of Washington after completing his Ph.D. thesis entitled "A History of the Constitution and Government of Washington Territory. 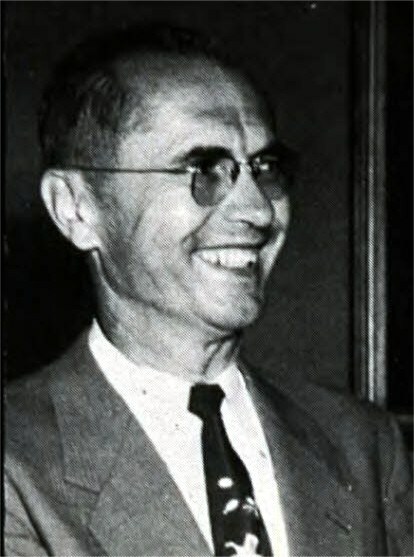 Some of his career highlights before moving to Riverside County included serving as Principal of Milton, Oregon Intermediate School; serving as a Teaching Fellow at the University of Washington from 1937-1939; and serving as an Instructor of History at Walla Walla College in College Place, Washington from 1939-1941. Dr. Airey was a Professor of History at La Sierra University for 45 years and became Head of the History Department. He was very active in campus affairs, including organizing and supervising several around-the-world- tours during summers offering class credit for La Sierra University students and local community adults. The Wilfred J. Airey Pre-Law Scholarship honors Dr. Airey and is funded through the contributions of La Sierra University alumni and aims to encourage students interested in law careers. Dr. Airey was married to Dortha B. Gorusch in 1939 and to Esther M. Vanvorst in 1981. He had two children: Joanne Elizabeth Airey and Wilfred Jonathan Airey, Jr. Dr. Airey died on September 8 2005, in Loma Linda, California.